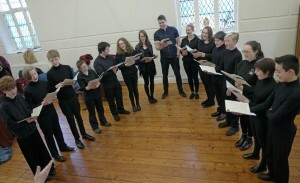 Do you know young singers ambitious for a future in choral music? Young, talented singers and keyboard players will not be aware of the beauties and challenges of great music until they are introduced to them …. … Let your musician friends & families know about the Orlandus Summer School for Choir and Organ … August 9th-12th 2018. Four wonderful days of choral singing for young singers aged 14 years to 26 years at St Kevin’s Church Hall, Harrington Street, SCR. An Introduction to the Pipe Organ for all participants! Specialist organ lessons available for more advanced students. Schedule: 10.00 am – 5.00 pm daily. Two performances on Aug 12th. Repertoire: Renaissance masterworks by Palestrina, Victoria, Lassus, Byrd including excerpts from Palestrina’s Missa Papae Marcelli and Allegri’s Miserere. Remember to Like and Share! View brochure from 2017 here.